Last Day for Boxwalla Beauty June 2018 + Full Spoilers! 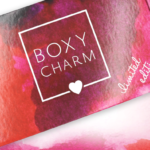 FYI – Today is the last day to subscribe to the Boxwalla June 2018 Beauty Box! Love this subscription! Thank you for making expensive skincare affordable!! I’ve been wanting to sign up for a more natural skincare sub. Just signed up with Boxwalla. Looks like a great month to start! Oh man… I would love to try that cleansing balm (cleansing balms & oils are my weakness!). This is such a great value this month! Same! I love my cleansing balms and oils too. I’m so excited for this month’s box! Argh, I just caved too but the box is now out of stock, so it looks like I missed my chance. The reviews for these 2 products on the Moss website are glowing! Maybe I’ll get a chance to swap for the Illumina treatment–I’m not quite willing to shell out the full (high) price for something I haven’t had the chance to test.